Madeline and I met a few months ago on LinkedIn and I was immediately blown away by what she is doing. Austin Belcak: Hey everyone, welcome back to Cultivated Culture success stories. I have Madeline Mann here today, she the director of People Operations at Gem which is a blockchain company for enterprises. Madeline thank you so much for joining me. Madeline Mann: Yes, happy to be here. Austin: Awesome, and I’m super excited you’re here because blockchain is such an incredible space — you can’t go to college and get a degree in blockchain. You’re truly hiring outside of traditional credentials so you have to figure out which candidates make the cut for such an innovative space. 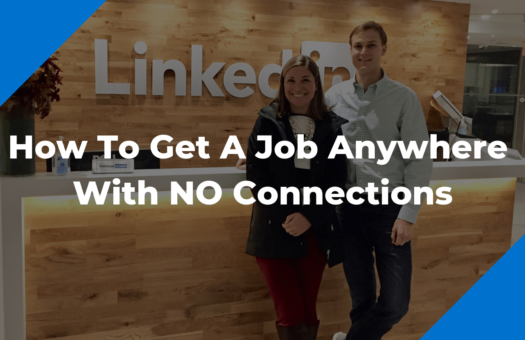 Normally I have job seekers on here and they tell us how they navigated the waters but I’m really excited to have you share a little bit more about how you think through hiring people from what resumes make it in and which don’t and what people have done in the past that stand out to you and what type of person really has what it takes to make it through the whole process and how people listening can be more like that person. That’s a whole lot, I’d have to have you introduce yourself a little bit and then maybe kick us off with Gem and people operations there and what you guys are up to. Madeline: Totally, I’ve been at Gem for over two years now and in blockchain years that is like [laughs] super long, it’s like dog years. People operations comprises of the recruitment or development, building the culture, etc. It’s really interesting building all of those elements, building the team, building a company in an emerging industry. When we’re looking at people to join the team, we’re not looking for someone who has 10 years blockchain experience. It’s actually an opportunity for a lot of people to come in at similar playing field and the way we decide who to chose actually often comes down to almost intellectual curiosity, this hunger for knowledge. When you’re in a new industry if you’re voracious with how much information you’re taking in, that’s really attractive. We often go towards people who really are interested in the ambiguity of the industry versus someone who really likes things to be straightforward and structured as well as just being really passionate. We can tell when people are passionate and are following us and following the industry at large and that goes such a long way because we’re a small company so I read every resume, I read every cover letter and more than ever those things matter. Austin: Awesome, and that was my next question so that’s a great segue because you’re looking at traditional experience and we’re talking about intellectual curiosity that’s not really something that’s super quantifiable, right? Like I can’t put X and Y together and get intellectual curiosity. What exactly do you guys look at and maybe we can start at the top of the funnel with resumes and cover letters. What aspects of resumes or cover letters stand out when you’re looking through them and on the other hand what kind of stuff do just absolutely hate seeing? Madeline: Yes, what stands out that gives us that idea is generally even if it’s in their current role maybe they are messing with some new technologies potentially if we’re talking about more of a technical role, if it’s none technical even just side projects or even just hobby someone who is constantly tinkering in one way or another we find that really interesting. Someone who’s just naturally not as soon as they start their own company but just how this entrepreneurial nature about them. That we really look at I think when we actually start talking to them on the phone I noticed I usually ask, “In your job, what are some examples of the things that you did that weren’t necessarily asked of you? Where did you go above and beyond to come up with a creative solution?” When you see those in a resume of I took this process that was stale and I changed it in a different way. People would just like write the word like, “Yes, I have.” Which is not like how or they’ll leave it blank. We only have one question. So, I think even if they said, “I haven’t had a chance to look into it as much, but I’ve searched using reading and I’m really interested.” Even that’s better than leaving it blank or anything like that. Don’t be afraid to be upfront, even if you feel like imposter syndrome of like, “Oh, I don’t have enough to answer this question,” that was like really kind of a big turn off. Also, overstating your– “I’m a cryptocurrency expert,” that kind of stuff. It’s sometimes can give the wrong impression as far as– When you’re in this industry, you kind of realize that we’re all novices. We’re all constantly learning. Try to be realistic about what you bring to the table. Austin: Awesome. I love that you’re talking about extracurricular activities basically so people who are spending their personal time, their free time learning, creating new things, getting curious. I think that’s so cool. So, getting down with the real stuff, how many resumes do you get like a week coming across your desk? Madeline: It’s probably three digits of resumes. Around there. Austin: Do you guys use like an applicant tracking software or are you going through them all yourself? Madeline: Yes. The applicant tracking software, ATS is– It gathers all the resumes but we don’t use what a lot of large companies use. This where they– It’s a keyword search where they pull out only resumes that have certain keywords. We don’t do that. I am the keyword search. Austin: Awesome. What does the software do for you guys? Is it just organizing things in the bucket? Does it actually eliminate any resumes or do you see all three digits and you’re the one coming through them manually? Madeline: I look at all of them. It buckets them into which role they’re in. It does one thing to know is that it does kind of extrapolate the formatting sometimes. Some people submit really beautifully designed resumes but it’s just– It’s for not. Those resumes actually end up being very difficult to read. 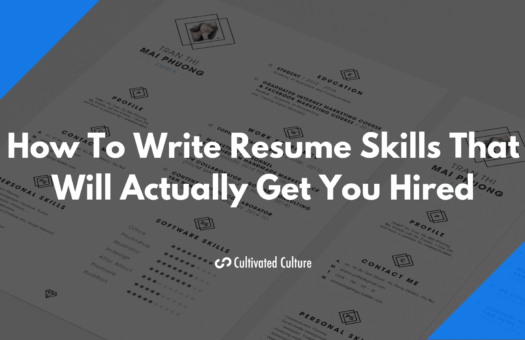 I’ve always found that a resume should– If anything’s creative about your resume, it should be the content of it. You show your creativity through what you’re actually writing versus the design and the formatting. Austin: Very cool. Awesome. Reading 300 resumes is or a hundred resumes, rather three digits is a lot. What have some people done in the past that’s really popped out to you? Have you had any resumes come across your desk and they were a little different? We’re talking about standing out in the content here. What’s an example of somebody who’s done that for you? Madeline: Yes, definitely. I think it is really interesting to see people who take the time to do side projects. We did have one person who– He took the time to write for publications in the space. 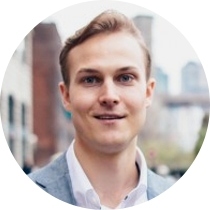 His experience was in completely different industry, but in his spare time, he was writing articles for all these different newsletters about the industry. That showed that he was very deliberate in pursuing us and the industry. Even just little things like that, it’s amazing how little energy you have to put in just to give that little spark. I will also say that flattery goes a long way, “Hey, I think this is really cool.” Even when people will be like, “I really liked this thing that you posted about Gem.” It just shows that they’re really taking the time to get to know us as a company and that makes us way more excited to talk to them. Austin: Awesome. Are these resumes and cover letters we’re talking about, or is this mostly just coming through in the resume? Madeline: Yes. I have always been a huge proponent of the cover letter. 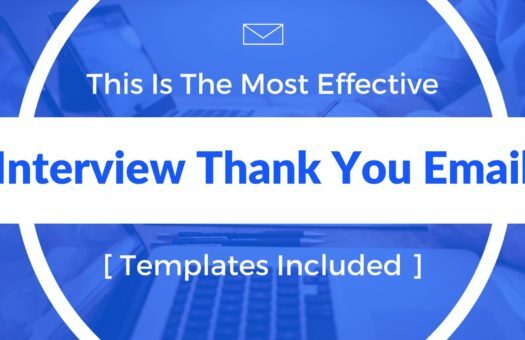 I know that there’s different schools of thoughts, but I think since we’re a small company, it really matters Because our volume of resumes that comes through our door is significantly lower than a massive company, we actually do take the time to read it. Also, since we’re a small company, every person we add to the team, the percent of the company that they are is so impactful that we have to make sure that we like this person, their personality, their values. I always read the cover letter, and I don’t think that a cover letter should be super verbose, or you should have to put a lot of pressure on yourself. It really is a moment to not only show enthusiasm but also maybe explain a couple things on your resume that might seem off. On my resume there’s– I’ve been on a gap. That’s because I just sold my company, or whatever. It’s just it’s nice to hear someone’s backstory. Austin: Totally. That’s actually something that I recommend for a lot of people in my community. It’s something that I use personally. I came from a medical background, and I was trying to break into tech. I didn’t have all the traditional experience, but I talked a little bit about how I learned the fundamentals on my own and started my own digital agency. While I may not have the traditional experience in an actual degree, with a high GPA, and exactly the field that they’re looking for, I went out and learned it myself. I talked through that. The feedback that I got was really appreciative. It really helped people understand that. I’m really glad that you brought that up. You mentioned the scale relative to larger companies. About how many people are at Gem, total? Austin: Cool. I think that’s really important to know because I think if you are looking at a company that’s 20 people, 40, even probably less than a hundred, chances are they are going to be reading pretty much everything that comes through their door. Because like you said, every person that they hire, they’re expected to bring a lot to the table. They’re a big portion of the total company, whereas if you’re applying at Microsoft for instance, you’re one of tens and tens of thousands of people. That’s where the keyword elimination and some of this heavier automation comes into play. Thanks for sharing that. I really appreciate it. Awesome, so we talked about resumes we talked about cover letters what’s some way that somebody’s done something a little unconventional. Not using a resume, or cover letter, that got their way in. That got their foot in the door. I know you mentioned somebody who was writing for like publications that were not part of Gem. Maybe they pitched you, or they just showed up at your door, or something crazy like that. Has that ever happened? Madeline: Yes. Well, he actually did show up at our door. That’s actually how we got his resume. He showed up at our door, and our CEO answered. He was just like, “Hey, I want to work for your company. I’ll sweep floors”, and handed his resume. We’ve had people show up to our office before, but I think the thing is that what he had– He had the experience and the extra effort to back it up. He’s like, “You guys are going to want me.” We’re like, “Okay, we’ll talk to you.” He kept like pursuing us over the course of six to eight months. Checking in every– Not in an annoying way. Probably every three or four weeks, maybe. Maybe every four weeks. He would keep us up to date with what he’s doing. He was very active in his university with the blockchain initiatives there. Eventually, we’re like we brought him in, and the timing worked out to where we could give him a project. The timing was eight months after he had initially wanted this internship. It’s so amazing how when you approach a company, the reason why they reject you might just be timing, and it bites. Having that persistence, knowing exactly what you want, and you have to be directed about it because you cannot just be pursuing all these different companies all the time because you’re going to get exhausted. If you have your top five or so companies that you really want to work for, and you’re pursuing them, then yes, it’s amazing. He actually in the end, when he– I asked him to do a presentation for the entire company at the conclusion of his internship. He’s like, “Let me show you guys the number of opens I have on my email chain of me trying to pursue Gem.” It was something like 82. There was like so many of us corresponding, and opening his email over the course of those eight months. That just shows that persistence pays off. Now he’s doing amazing things in the industry. Austin: Definitely. I’ve seen it myself too. Especially if you do really want to work at one place. Like you mentioned here, you have your top five, or top three like that, the Unicorn. That one company. Just staying persistent following up with people. I love that you mentioned the three to four weeks because that’s not annoying at all, but it’s just enough to keep people- like top of mind. You can ask for the chat. You don’t have to if you’re just following up, or you’ve already talked, or whatever but just letting them know. Like saying “Thank you.” Reminding them, I actually think sometimes it’s more effective to not ask for something. To just say thanks. I love that. I think that’s fantastic. It’s so cool to hear the guy knocked on your door, and your CEO was there. Straight to the source. Madeline: [laughs] It’s like something out of a movie. Austin: Totally. Awesome. Now we have all these people. They’ve done crazy stuff, or they’ve had great resumes, and they’ve gotten in the door. What do you guys do next? Do you typically do a phone screen? Madeline: Yes. Usually, the first person to talk to, whoever is that makes it through the first round. I usually have the hiring manager check to make sure this is a person that they want in the pipeline. Generally, I think you’ve actually brought this up in one of your articles before, but I am there to disqualify them, essentially. I’m there to check all the boxes. Do you have these top four skills that are on our scorecard? Is your timeline going to line up with our timeline? All these little things that I just checkbox. If you can just make sure if– then also, there’s– I usually sense for their passion, their knowledge, and a few of those more cultural aspects as well, but it’s generally a 30-minute call, so there’s only so much you can do. Madeline: I think sometimes it’s okay to use a little bit of silence just to process someone’s question. 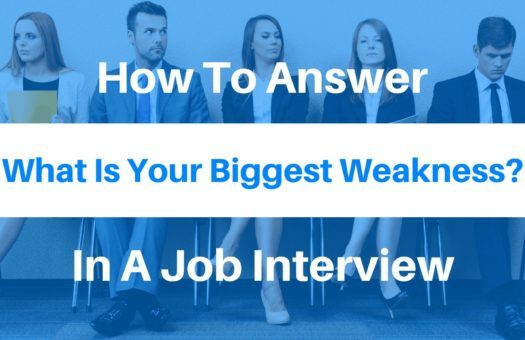 There’s a question an interviewer will ask, and then there’s the deeper questions they want to know. I think as an interviewee, understanding when someone asks, “Oh, tell me about a time when you did something that was not asked of you”, you have to understand, okay, what they’re trying to figure out is can I bring creative solutions. It’s like, “No, walk me through your thought process.” I think finding that balance of those key points of showing that creative thinking, and then conveying it in a concise way, and just completely understanding exactly what the question had intended. Austin: Awesome. I think that’s fantastic. The one thing I’d add from my end, which is something that we talked about in the video we did together, is quantitative metrics. You mentioned being sure to include what you did specifically. I think one of the best ways to drive that is actually having metrics. In some cases, you’re not going to remember exactly. We drove $682,331, but ballpark it. If you’re somebody who’s not aligned with quantifiable metrics per se, you’re a creative or somebody in that space, I find it it’s always helpful to go speak to your manager. Maybe a manager at another company if you’re worried about triggering any alarms. Just asking them, “What criteria do you judge your employees against?” Then making sure you speak to that. If quantifiable metrics are part of your business, and the value that you drive for a company, I think including that is huge. Because it showcases the value that you’re going to bring to the table if they hire you. Then if you negotiate salary, or whatever, you can pull right back to those things, and be like, “This is why I’m worth more.” You can bet if another manager, a couple managers you speak to are all looking for the same things, if you directly address those in an interview for a position of that nature, you’ll be in a good spot, for sure. Madeline: Yes. I think with metrics as well, is unless they’re very much in the same industry and position as you, sometimes the metrics– It’s good to hear the before and after metric because it might be like, “That much engaGement on a post,” or something. If I’m not someone who is– I find just my role, and I might have as much experience, I’d be like, “Well, before we were getting 12% of that, and now I’ve increased it.” Yes, it’s definitely– It’s good to give that context as well. Austin: Definitely. Definitely. Awesome. Cool. We’ve talked a lot about interviewing. We’ve talked about getting your foot in the door. I want to touch on blockchain a little bit. It’s this very hot industry. It’s very new. It’s in my mind tech 2.0. Are there specific degrees, or experience that you guys look for outside of just somebody with intellectual curiosity. Let’s say you’re a 27-year-old you’ve been in your career for a little bit. Now you want to get into blockchain. It’s just cool, it’s an exciting space. What are the steps that somebody could take? Let’s say I’m maybe a copywriter. I guess I could get into blockchain for copywriting, but if I want to be fully involved in sales, or the technology aspect, are there specific roles that play well with the transition, or that you look for? Or is it truly just that intellectual curiosity? Doing stuff that relates to blockchain outside of work, et cetera. Madeline: Yes. I will say that I have never hired someone from within the industry to join our team. Every single person I’ve ever hired has been from a different industry. It has been pretty eclectic. I think people who– What we really look for is if your past experience is more technology oriented, even if you’re not a technical role. As well as, you’ve dealt– It’s nice to be in an industry before where you’ve dealt with ambiguity. Where it is a bit more of a learning curve where there’s been some uncharted turf. Anyone could really spin that in any way. It doesn’t necessarily mean this industry is perfect for going into our industry. There’s a lot of classes out there that are around blockchain, and that kind of stuff. I can’t really speak on any one of them that I feel is really strong. What I do know is that this industry is still very small. If you go to events, and conferences, and meetups, you will be likely to meet someone who can get you a job in this industry. I think the advice is twofold in that. Make friends with as many people in the industry as possible. Also do not make any enemies, because we all know each other as well. I think it’s actually a very accessible industry if you’re really committed to it because these people were out there. You introduce yourself to any one of them, and that could be an amazing path to exactly the company you want to work for. Austin: Awesome. I want to talk a little bit about it being new and small in a sec. I love what you said, where you’re not bringing in anybody that’s in the industry. These people are coming from different backgrounds. Just tying it back to the interview thing. A lot of people in the audience, and me personally, I came from a background that wasn’t traditional. How would you recommend people pitch their non-traditional background as an advantage? Madeline: It depends on what the background is. I really do think that the amount of use cases that there are in blockchain allow for really, pretty much any industry to have a fresh perspective on it, and say, “Hey, I come from supply chain industry. I can see tons of use cases in blockchain. That’s how I got in interested in this industry.” I’ve got to know those people, and now I want to work for that company.” I think you can relate a lot of it back to whatever you do. As well as just taking the time to ramp up on whatever you need to know about it because like I said, me as having two years of experience in the industry is to most people on the heavier end. To know that you having six months of you really deeply invested in the industry is actually really, pretty impressive. I think that there’s a lot of opportunities for people from other industries to break into it. Austin: Awesome. I’m sure you might get this a lot from people who are not in the industry. People who talk about crypto also see plenty of headlines that say, “Crypto can go to zero next week.” Or “This is totally volatile and unstable. Don’t buy it.” If I’m reading those headlines, I might be thinking– I think this is really cool. I love what they’re doing. I love the potential, but I don’t know if I’m ready to just give up the stuff that I’ve done to hop into this new industry that CNBC’s article yesterday said may go to zero. Can you tell me a little bit more about why blockchain is here to stay? Madeline: Yes. Absolutely. blockchain has been around for actually for a long time. Only since Bitcoin really started becoming popular within the last eight or so years has it really got a lot of people’s attention. If you look at the underlying technology, it truly is brilliant. It creates this way for to not have a central party controlling, in the case of cryptocurrency, who’s tracking transactions. It’s spread across the world on thousands of computers. This technology has so many other applications besides cryptocurrency. I think that when you’re buying into cryptocurrency, you are buying into a philosophy or a movement. That has made me really excited. I’ve brought in a lot of new cryptocurrency investors into the space, and it is stressful. I know for a fact. It’s up and down every day. It’s a crazy graph but if you look across the past eight years, it’s been a linear line through it all. I truly believe it’s here to stay. In all the issues that have happened with it, there’s been a lot of really smart people creating solutions around scaling issues, and that stuff. I think it’s not for the weak stomached [laughs] to invest in it, but it definitely– There are so many different ways to utilize it, and I think we’re just in the very beginning right now. Austin: Awesome. I totally agree with you. I think it’s a fascinating space. Disclaimer for everybody listening, not investment advice. Don’t listen to us. Do your research. Thanks so much for sharing because I think it’s important that people understand that it’s more than just a currency. Everybody knows Bitcoin, and some of these other currencies, but the technology behind those currencies, and the potential implications of that are– If you do some research, it is crazy fascinating. There’s your rabbit hole for the afternoon if you’re listening– [crosstalk]. Awesome. Cool. Madeline, you shared a ton with us. This is fantastic. I’d love to have you leave us with your number one piece of advice for job searchers out there. Madeline: Number one piece of advice. I think the number one piece of advice for a job search honestly happens before you even send out your first resume. I think my number of this advice is get to know yourself, go do a bunch of informational interviews. Really understand what you want to do because it is so easy to just start flying up resumes. Maybe get a few interviews. Just ride that train, get a job, realize you’re unhappy, do it all over again. Life is too short for that. I think really focusing on what you want, and that is very difficult. Know that that process is not easy. Then once you do, pursue it rigorously. You’ll be amazed that pursuing companies when you know exactly the type of role you want, you know exactly the industry, you know exactly the type of company you want to be a part of, how much you’re going to kill that interview. I found that like when I was trying to figure out what all-star candidates really had that others didn’t, I noticed that those people knew themselves. That they came in to interview, they stated exactly what they were strong at, what maybe they weren’t as motivated by, and it really made it so clear to the company that if that was exactly a type of role that they were looking for, that it was the perfect fit. I would say just do all the work you can before you even start the search. Austin: Awesome. I love that advice. Especially the extracurricular stuff, too because for me, that hits a personal note because that’s what I did, and that’s the experience that I leverage to get hired. I’ve seen so many people in my community do the same thing. 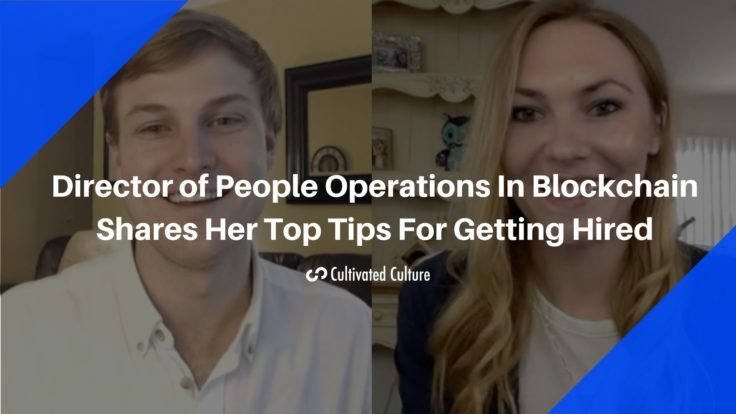 Madeline, thank you so much for joining us and sharing all of your wisdom about hiring in blockchain, and life in general. I really, really appreciate it, and we will talk to you again very soon. Madeline: Thank you so much. It has been a blast. Thanks, Austin.